Is the stealth guide worth it? Ive been pretty interested in getting the guide, but Im a bit apprehensive. Can it actually show me how to make a high limit paypal account and ebay account for selling on ebay? When I needed to raise my limit on paypal last time, I needed to submit documents... is this avoidable? And Ive heard you need a real bank and debit card to make an ebay account - a prepaid will not suffice. That being said though, I really need to make a new account to start selling again, so if the guide can show me how to make a fully functioning, high limit paypal and ebay account that wont get limited, that would be great! Last edited by aspkin; 12-17-2016 at 05:30 AM. Re: Is the stealth guide worth it? I followed it to make a good account just last week. It's good. Whilst it can't guarantee a high limit account, it makes no odds as you can't just steam in with 100's of listings anyway - you need to take it sloooow. It will tell you how YOU can prevent your account from being limited. Everything else is covered in the very affordable guide. The info contained within the guide is GOLD. 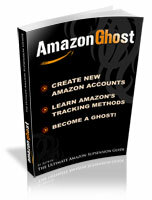 The guide will show you all the ways ebay and paypal track you and link accounts. It details how you can start afresh and create you own accounts for minimal costs. I dont think it tells you how to create high limit accounts ie 100 items plus. That is something you will have to figure out on your own. With regards to paypal and the receiving limits, there is no way to avoid hitting the eu limit. Paypal will request certain information and you will need to provide it. You can contact any of the sellers in the marketplace here for more information when you get to that point. It will show you how to make accounts successfully. While it doesn't show how to make high limit accounts, it does outline how to make accounts that will stick and stay. Patience is the key word, if you rush you will fail. It does take some planning and thinking on your part. But to be honest common sense goes a long way once you read and understand the guide. here is my example. My first account following the guide, 5/500. Second 10/1000. Third 500/25,000. Fourth 1000/25,000. I made all of my accounts within about 10 days of each other. Reading the posts on this forum will fill in any blanks and questions you may have. It took a little pondering about how i was creating each account in order to make each one consistently better. Now what i did was buy a high limit account to start with so i could get going on building it up according to the guide and at the started making accounts. Boom-they are all still running and selling as i type. I consider money well spent on getting back selling. I recovered all my investment in the guide and the account within my first week of selling again. It sure was a great deal better than sitting at my computer getting nothing accomplished and being pi**ed at eBay. Now i am just thumbing my nose at eBay. Well i have to go now, I have items to ship. Last edited by davids01; 07-29-2016 at 01:52 PM. Hate to say it man but you need to adjust your expectations. You can get back to that level, but not in your desired timeframe. You need to read the guide to understand the do' and don'ts. Could buying an account with feedback and high limits on here allow me to skip that waiting time? Or is it unavoidable? Probably not. Don't know if there are any accounts with feedback and such. You should go to the marketplace and ask the account sellers. No mater what avenue take, you should learn how to create accounts so that when you get hit by eBay again you will already have properly seasoned accounts ready to move up to the front of the line. I will never be caught with just one account again. I found out the hard way that no matter how much your making eBay, they will throw you under a bus in a minute. Believe me there are more people here just like you than you may think. I lost a account were i was taking in an easy $25,000/mo. Starting new is a pain, but I didn't have a choice. I could either get back on the horse or just keep staring at the horse eBay shot for me. The sooner you start working up accounts the better you will be later. And get many accounts ready if possible, you don't want to wait 6 months every time.. There are sellers selling such accounts with feedback and reasonable limits - see the marketplace (on the left). As for turning over £1k a month, my advice would be get 2 accounts, nurture them, spread sales across them, and in about 2 or 3 months, it'll be safe to be taking £500 on each per month (=£1k). Spreading sales is an invaluable technique, I cannot stress this enough, especially for someone in your situation. I learned a lot from the guide. I think its worth to read. recommended. I am going to buy this guide and start reading.. I had a few concerns but hopefully the guide will answer them. with using a VPN im guessing wouldnt all 3 or 4 of your eBay Stealth accounts transmit to ebays algar that there are 4 accounts beeping off the same ip address even though its a VPN? anyways, im not looking for excuses to not jump in. i just want to be smarter than they are! Hope fully this guide will help you. Please share your experience after reading this guide. my first acc was suspended and on my name, if my business partner open a business account to continue our business and he has all documents etc then are we safe to push the account quicker then a stealth one, cos even if they ask for documents we have them...there should be no problem? also if we make some stealth ones just to back us up incase for the furture do all these eu limits and paypal limits etc start egtting removed gradually? or will the acc always be limited somehow?